Following the Opium War in 1840, the western physical culture and sports found theirway to China through the major cities. Athletic competitions were held by troops and schools at the national, regional, provincial and municipal levels, notably the seven editions of the National Games up to the end of 1948. Modern sporting activities were carried out on an international scale. China was represented ten times at the Far Eastern Championship Games and three times at the Olympic Games during the Modern Period. 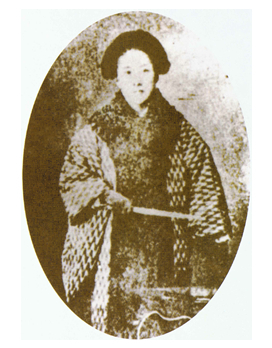 Qiu Jin(1879-1907)was in charge of the sports association of Shaoxing,Zhejiang Province before she laid down her life for the cause of democratic revolution. China’s first intramural athletic meet was held in 1890 at a missionary school founded by St John’s Academy in Shanghai in 1879. 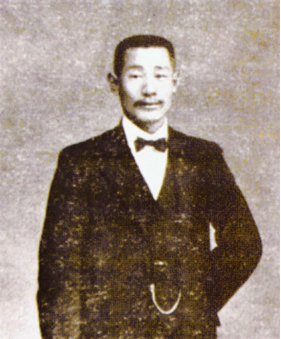 Xu Yibing(1881-1922),a well-known educationist and founder of the China Gymnastics School. China was represented ten times at the Far Eastern Championship Games (FECG)from 1913 to 1934, winning the football event nine times. Picture shows Li Huitang, the Best Football Player in Asia. The Chinese team defeated the Philippines team for the championship in the volleyball final at the 9th Far East Championship Games in Tokyo in 1930. Pictured is a Chinese player jumpingup for a smash. 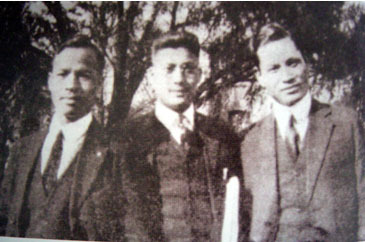 The first group of Chinese students majoring in physical education at Springfield College in the United States in the 1920’s.L-R:Xu Minhui, Gao Xiwei and Dong Shouyi. After her graduation from China Gymnastics School, Lu Lihua (1899-1997) established a sports school for women in Shanghai in 1922. 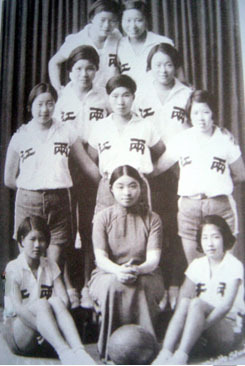 Picture shows her with her school’s basketball team on its tour to Southeast Asia in 1935. 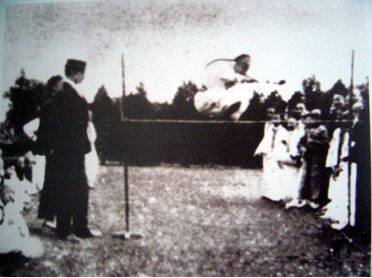 In school physical education, both modern Western and traditional Chinese sports were taught, with the latter in the form of wushu lessons, as were given at this primary school in Shanghai in the 1910’s. A basketball game between China and France at the 11th Olympic Games. China (on the offensive) vs England at the 11th Olympic Games. Fu Baolu, the only Chinese to advance to the finals at the 11th Olympic Games. The three Chinese IOC members in the first half of this century:(L-R)Wang Zhengting,Kong Xiangxi and Dong Shouyi. Liu Changchun,holder of the national 100m record of 10.7 sec for 25 year,took part in the 1932 Olympic Games as the first Chinese Olympian,Here he is shown at the Sixth National Game in 1935. Zhang Ruiyan from Taiwan Province, winner of the women’s javelin at the Seventh National Games held in Shanghai in 1948.